Andrew Berks, Highland Cow on White, Oil on Canvas, 48 × 48 in. 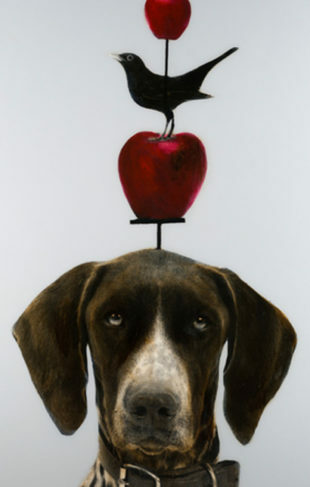 British Canadian artist Andrew Berks paints landscapes and animal portraits with a unique, experimental approach. 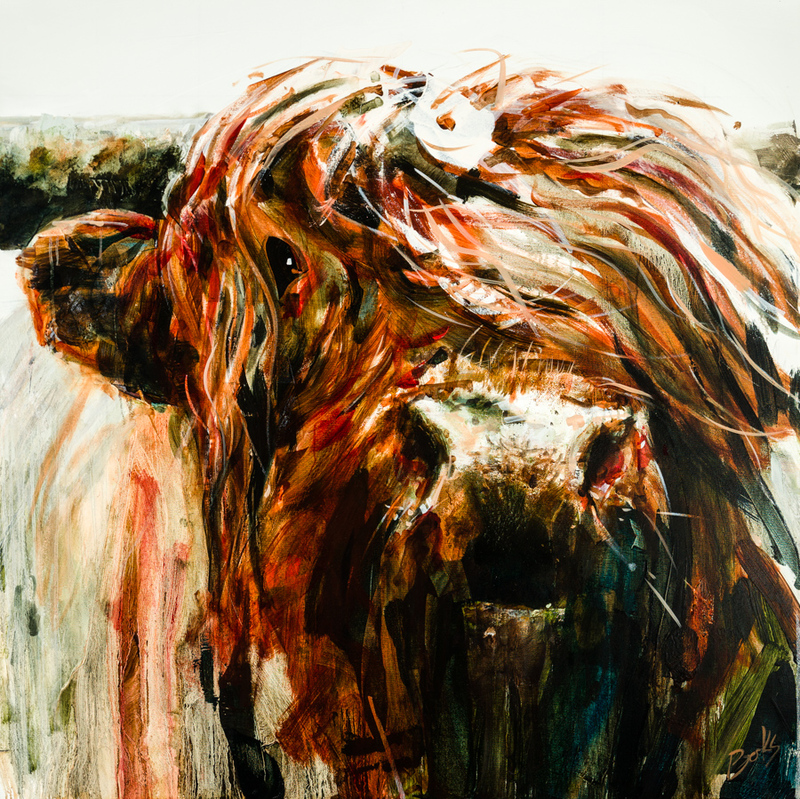 In Highland Cow on White, the artist captures his subject’s wild nature, while establishing a connection between the animal and the viewer. A close look at the painting reveals an incredible amount of detail; Berks renders the animal’s wooly coat with a combination of textured brush strokes, patterns, and rich color variations. Contact the gallery nearest you to view Andrew Berks’ work in person.